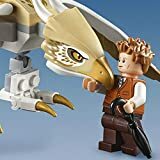 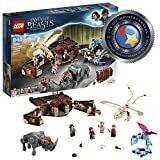 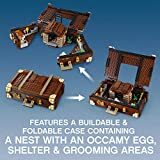 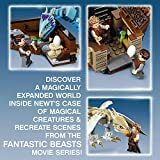 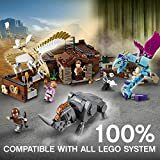 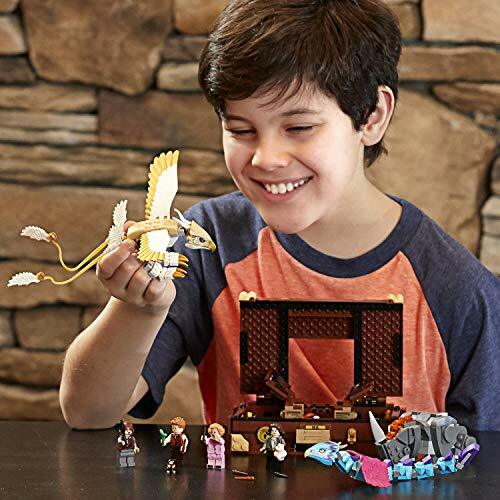 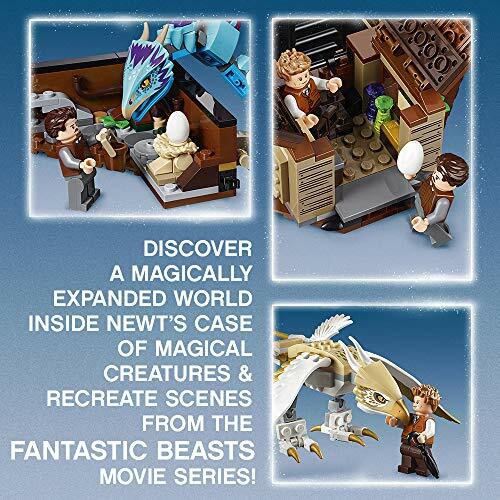 Discover a magically expanded world inside LEGO Fantastic Beasts Newt s Case of Magical Creatures. 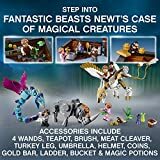 Use accessory elements to have fun exploring, mixing potions and caring for the Fantastic Beasts. 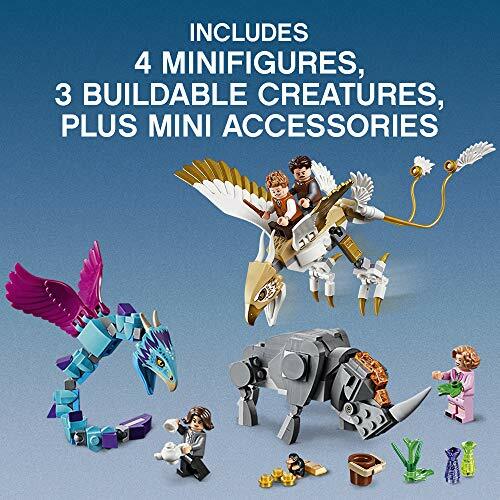 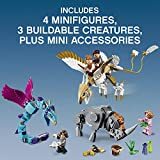 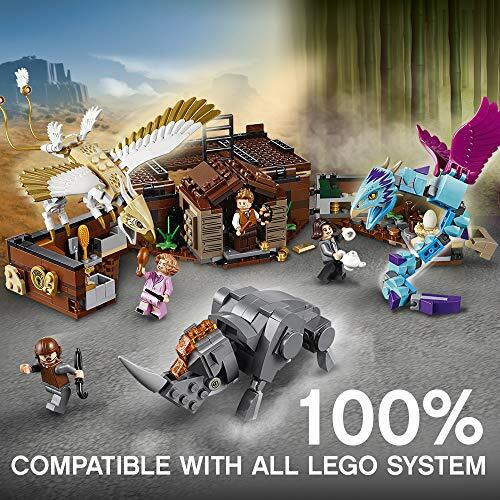 Includes four minifigures as well as buildable Erumpent, Occamy and Thunderbird creatures, plus Niffler and Bowtruckle figures. 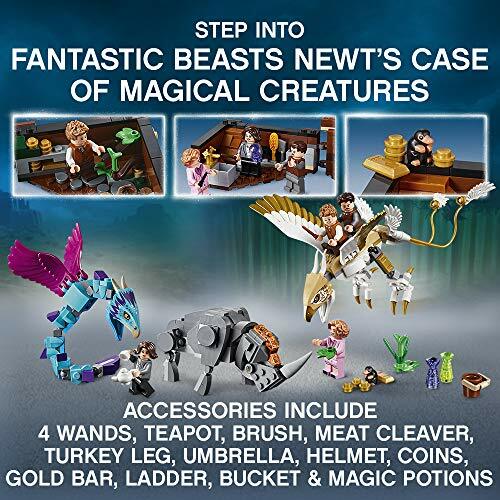 Accessory elements include four wands, teapot, brush, meat cleaver, turkey leg, umbrella, helmet, coins, gold bar, ladder, bucket and magic potions. 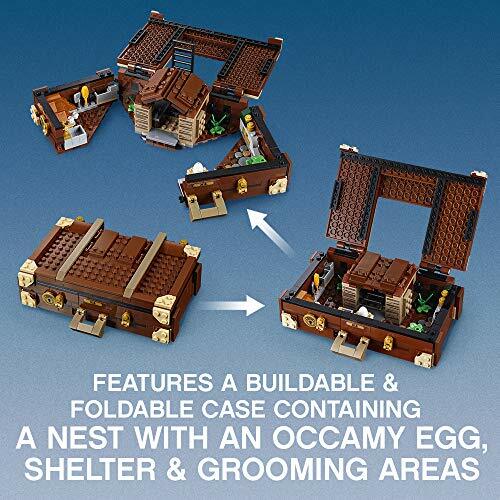 Case (closed) measures over 5 Inch (13 cm) high, 6 Inch (16 cm) wide and 1 Inch (4 cm) deep and over 2 Inch (6 cm) high, 11 Inch (30 cm) wide and 3 Inch (10 cm) deep when opened out.